The use of children’s mental health services has increased, but most children with psychiatric problems are still not in contact with these services. This time-trend study assessed changes in considered and reported service use over a 24-year period and studied the factors associated with it using four cross-sectional studies. Information was gathered on 8-year-old children living in the area covered by Turku University Hospital, Finland, at four time points: 986 children in 1989, 891 in 1999, 930 in 2005, and 942 in 2013. The same study design, methods and school districts were used each year and the participation rates varied between 86 and 95%. Parents and teachers completed questionnaires concerning the child’s psychiatric symptoms and service use. The considered and reported service use increased continuously during the study period. In 1989, 2.4% of children had used services and in 2013 this was 11.0% (OR 5.0, 95% CI 3.1–8.0). Reported service use also increased among children with comorbid problems, from 18.3 to 50.7% (OR 5.0, 95% CI 2.1–12.0). Psychiatric problems and some family factors were associated with service use, but the increase was not explained by these factors. 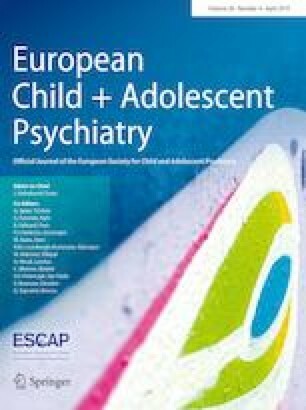 The increase in child mental health service use may reflect better public awareness of mental health problems, fewer barriers to accessing care and decrease of stigma. Although more children are using mental health services, there are still a large number of children with mental health problems who have not been in contact with services. The online version of this article ( https://doi.org/10.1007/s00787-018-1218-9) contains supplementary material, which is available to authorized users. The study was funded by grants from the Finnish Brain Foundation, the Foundation for Pediatric Research, Orion Research Foundation sr, and the University of Turku Graduate School (UTUGS) (Lotta Lempinen), and from the Academy of Finland (288960) and Turku University Hospital (EVO grant) (Andre Sourander). The authors wish to thank Kristiina Saanakorpi (RN) and Kalle Vaintola (MA) for assisting with the data collection. None of the authors has any biomedical, financial, or other potential conflicts of interest to report. The study was approved by the school principals, school authorities, and the ethics committee of Turku University Hospital.